Building on the traditional metal style of legends Black Sabbath, Iron Maiden and Judas Priest, power metal was forged out of their ashes. The genre is characterized as highly melodic vocals built around high tempo riffs centered on lyrics about swords and sorcery. Like all metal genres, power metal has subsets that include elements of progressive, thrash and symphonic metal. The following is our list of twenty essential power metal albums the genre has seen since its inception. This is told chronologically from the birth of the genre all the way through the most current masterpieces. If you’re new to the genre it’s a good place to start, and even if you’re a longtime fan there might be an album or two you may have forgotten about. Helloween are the most important band in the power metal style. 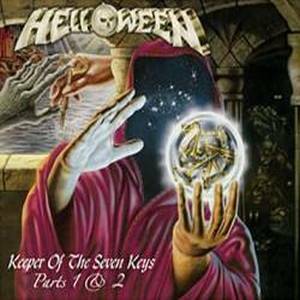 Their Keeper of the Seven Keys releases are the blueprint and important foundations of the genre. The blend of Michael Kiske’s grandiose vocals, the driving double bass drumming and guitarist Kai Hansen and Michael Weikath’s faster than lightning riffs set the standard. I look at both albums as companion pieces and both are essential in the birth of this style of music. Tracks like “Future World,” “I Want Out” and “Eagle Fly Free” are classics that have stood the test of time. The Keeper albums have carried an entire genus on its back and are considered the birth of the power metal genre. 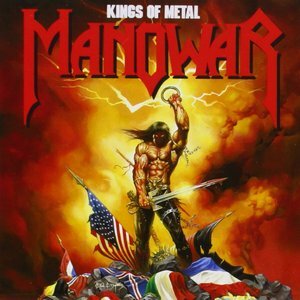 Manowar are the epitome of a power metal band. Everything from their fantastical lyrics, over the top look and blistering music exudes the genre. Despite their ostentatious looks and themes, their music is incredible. Kings of Metal is their sixth and most complete release. 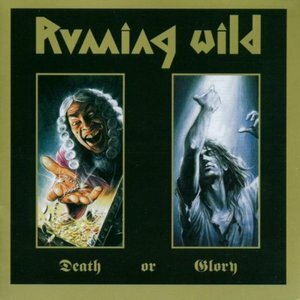 Starting their career as a speed metal band, Germany’s Running Wild are the band whose history goes back the furthest on our list. Establishing themselves as pirate metal, their music is infused with tons of power metal sensibilities. Their sound was perfected on their fifth release, Death Or Glory. Flawless songwriting is found throughout with the highlight being album opener “Riding The Storm,” which could be their most grandiose track of their storied career. The uptempo “Marooned” and the title track are filled with aggressive riffs and singalong choruses. Vocalist Rolf Kasparek has a skill for constructing chorus melodies that get stuck in your head endlessly. 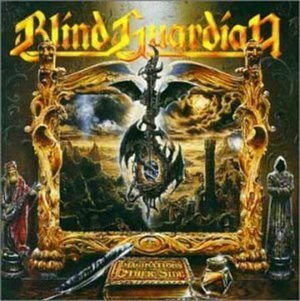 Blind Guardian are a power metal institution. Their catalog is so strong any number of their releases could have been chosen, but I went with their most consistent release, Imaginations From the Other Side. Lyrically the album is centered on King Arthur and Camelot and fits the power metal genre flawlessly. Vocalist Hansi Kürsch has one of the most identifiable voices, as he is the one known most for layering his vocals with multiple harmonies. They incorporate darker tones here, as tracks like “I’m Alive,” “Another Holy War” and the epic title track all are filled with crisp guitar riffs and larger than life vocals. 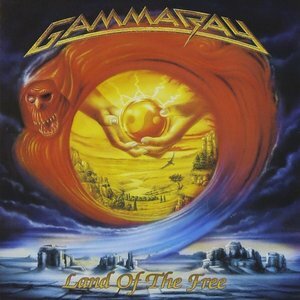 A true triumph; it finds one of the greatest power metal bands in their prime. Shortly after leaving Helloween, Kai Hansen formed the comparable sounding Gamma Ray. Initially utilizing Ralf Sheepers on vocals, Hansen takes over lead vocals on their fourth release Land of the Free. Hansen’s voice suits the material better, as it is gruffer and matches the intensity of the speed flawlessly. This is Hansen’s fist time singing lead since Helloween’s Walls Of Jericho. Blending Queen inspired harmonies with classic power metal, Land Of The Free was a breakout album that found Hansen maturing as a songwriter. It enabled him to break free of the shadow of his former band and stand on his own as a pioneer of the power metal genre. With the demise of their classic lineup in their rearview mirror, Helloween reformed with a stellar lineup led by vocalist Andi Deris. 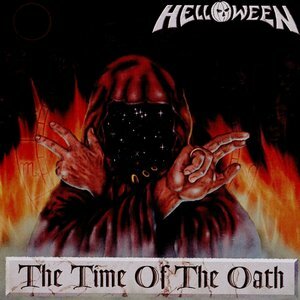 The Time of the Oath is a brilliant mix of classic power metal mixed with heavier earthquake inducing riffs. Even though the melodies aren’t as soaring, they are catchier and incredibly memorable. “Power” is an all time classic that is anthemic in nature and will have you singing along. The title track brings on the crunch, as the groove is relentless. Deris puts on a clinic vocally throughout the release. The Deris era continues to release incredible material, but its zenith was this 1996 classic. 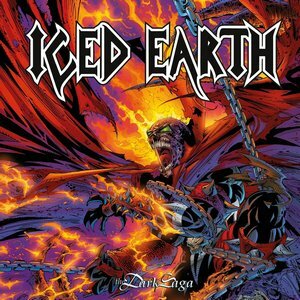 No band infuses thrash and power metal better than Iced Earth. They have one of the most distinct styles where Jon Schaffer’s riffs dominate. The Dark Saga is a concept album based on the Spawn comic book. The record also stands on its own when the songs are played individually. Vocalist Matt Barlow is equal parts power and feeling in his delivery. “I Died For You” is a classic ballad that is filled with emotion. “Violate” and “Vengeance Is Mine” find the band at full throttle and unrelenting. A cornerstone of their catalog, The Dark Saga cements the brilliant legacy of an incredible band. With the opening riff on “The Dragon Lies Bleeding,” one is instantly taken back to the beginning of the power metal movement. 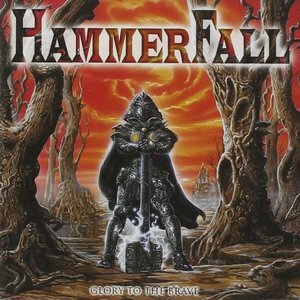 Hammerfall’s debut Glory to the Brave was a bombshell on the industry and a tremendous statement that metal was still alive and kicking. Unabashedly metal, they blend the lyrics and style of Manowar with the precision and music of Helloween. Vocalist Joacim Cans doesn’t possess the most powerful voice, but his melodies are instantly memorable. The title track has become a classic with its clean guitar picking and tremendous chorus. 1997 was the rebirth of the power metal movement and it was led by Hammerfall’s exceptional debut. Playing with Kai Hansen in bands as early as 1982, Piet Sielck finally found success with Iron Savior’s debut release. Once again teaming up with Hansen, their sound is heavily influenced by the classics of the genre while adding a thrash element to their songwriting. Their debut Atlantis Falling is a concept album with a heavy science fiction approach that deals with war, space and technology in a dystopian society. Sielck writes amazing melodies and large grandiose choruses. Drummer Thomas Stauch of Blind Guardian rounds out the supergroup and delivers a crushing performance. 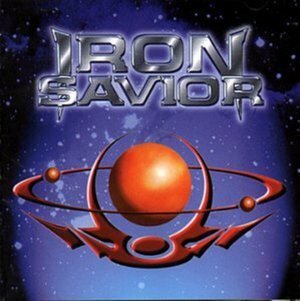 A glorious ride from front to back, Iron Savior were a huge reason for power metal’s resurgence in 1997. Despite the terrible split and turmoil that surrounded Stratovarius for years, one cannot deny the greatness they showed in their creative peak. Once Timo Kotipelto was brought in to take over the vocals, it elevated the band into another stratosphere. Visions is their seventh release and showcases their talent the best. The combination of guitarist Timo Tolkki and keyboardist Jens Johansson could be the most formidable the genre has to offer. They perfectly blend classical music with metal fluently. 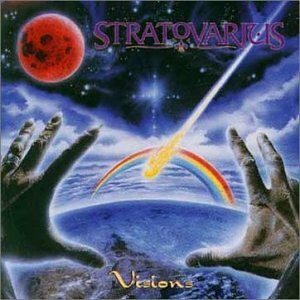 Visions finds Stratovarius streamlining their songwriting and increasing the catchiness of the melodies contained within while still retaining their early progressive, complex elements. 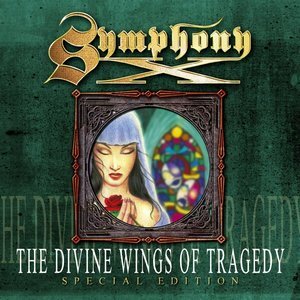 Clearly the most technical band on the list, Symphony X beautifully blend the progressive and power metal genres. Their third album The Divine Wings of Tragedy is a true achievement. Guitarist Michael Romeo is a virtuoso and his playing here is breathtaking. Vocalist Russell Allen blends power and melody in the same technical style as Ronnie James Dio. Each track is a journey that is technical in nature and showcases each musician individually. It culminates with the over twenty minute title track that is told in seven parts. This has become the standard that all power progressive albums will be compared against. 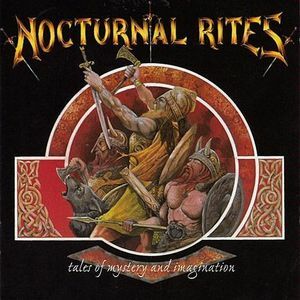 Starting their career as a death metal outfit, Sweden’s Nocturnal Rites transitioned to power metal in the mid ’90s. Their sophomore release Tales of Mystery and Imagination still stands as their greatest triumph. Filled with larger than life anthems, the songwriting is stellar with an incredible amount of variety. There are countless classics on the release like “Ring of Steel,” “The Vision” and fast paced closer “Burn In Hell.” Nocturnal Rites have had a tremendous career and despite the departure of vocalist Anders Zackrisson after their third release, they have been as relevant and consistent with current vocalist Jonny Lindqvist. 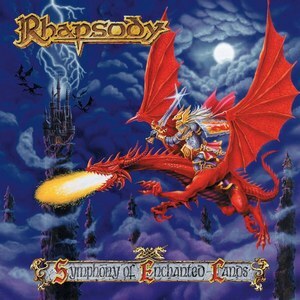 Rhapsody’s sophomore release Symphony Of Enchanted Lands could be the blueprint for modern day power metal. It is filled with non-stop double kicks, singalong choruses, narration and impressive musicianship. Rhapsody doesn’t just compose a concept album here, the story is told over five separate releases as the Emerald Sword Saga. This is the second part of the saga and plot points include classic power metal topics as dragons, swords and sorcery. Rhapsody unfortunately imploded over time and fractured into two separate entities, but early in their career they created an epic masterpiece that beautifully combined orchestration with fast, heavy riffs. Rhapsody helped create the sub genre symphonic power metal, which is still going strong today. Sonata Arctica have become a backbone of the power metal community. Throughout their career they have built a brilliant catalog of releases. Their debut Ecliptica still stands as their most influential and brilliant. It could be the greatest debut album the genre has ever seen. Led by vocalist Tony Kakko, the songwriting is emotional, heartfelt and ridiculously catchy. The album plays as a greatest hits release where each track is a work of art. The musicianship contained within is spectacular as the guitars and keyboards effortlessly feed off each other with flawless dexterity. 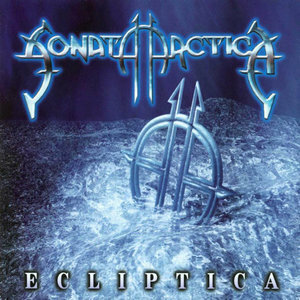 Ecliptica is without a shadow of a doubt one of the strongest power metal releases ever and helped launch power metal back into the spotlight. 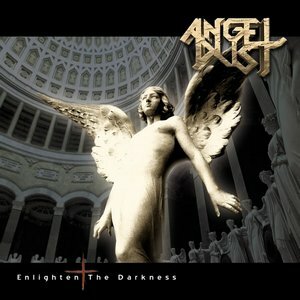 Their earlier portion of their career was more thrash inspired, but with the addition of vocalist Dirk Thurisch in 1997 it solidified Angel Dust’s importance in the genre. Their entire catalog is stunning, but their strongest most impactful release is Enlighten the Darkness. Elements of prog and goth metal are sprinkled throughout the songwriting. Thurisch’s melodies are highly melodic and memorable. A concept record that deals with the horrors of war, the album brings one on a journey as it is varied throughout. Accessible from the outset the album continues to get stronger with its heavy riffs and incredibly catchy choruses. An added darkness is permeated throughout for excellent atmosphere. Starting their career in the early ’90s, Brazil’s Angra have had the benefit of enjoying several successful eras with different singers. As impressive as their early career is, they hit their peak with 2004’s Temple of Shadows. This was vocalist Edu Falaschi second release with the band after the departure of Andre Matos. Angra straddle a fine line between power and progressive metal and blend both genres seamlessly. A concept album dealing with the expansion of the Catholic Church in the eleventh century, the material is strong enough to stand on its own individually. Angra features guitarist Kiko Loureiro in their ranks, who has joined Megadeth and shows off his amazing composition skills. 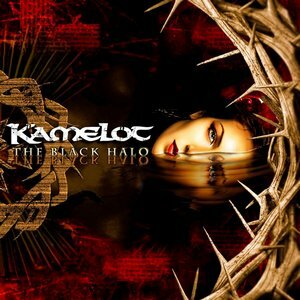 Another huge contributor to the rebirth of power metal was Florida’s Kamelot. The Black Halo is the second of a two-part concept album centered on Goethe’s Faust. They are led by vocalist Roy Khan, who possesses an unbelievable voice and is also classically trained. The songwriting is more efficient, but still maintains a complex style. The material is incredibly layered and becomes more accessible with each listen. Khan’s melodic melodies are top notch and blend effortlessly with guitarist Thomas Youngblood’s blazing riffs. Khan has since exited the band and was replaced by Tommy Karevik, which still finds Kamelot cranking out quality albums. Sweden’s Timeless Miracle are an anomaly within the genre. 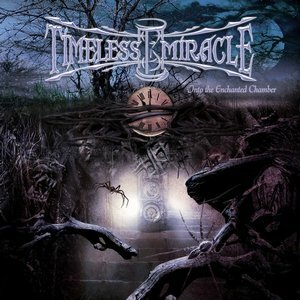 In 2005 they released their only album, Into The Enchanted Chamber, that stands as the greatest hidden gem in power metal history. Filled with blazing riffs, frantic double bass drumming and some of the most memorable melodies ever penned, it is a bona fide classic. The material is layered and complex and takes multiple listens to fully comprehend the genius contained within. Opening track “Curse Of The Werewolf” and the title track are epic in nature and can stand alongside any power metal song in terms of greatness. Let’s hope they finally release the often talked about sophomore album that has been more than a decade in the making. With songs dealing in werewolves, vampires and demons, while utilizing corpse paint, Powerwolf are one of the most unique power metal bands. Their debut was released in 2005 and they have made a tremendous impact on the scene since. 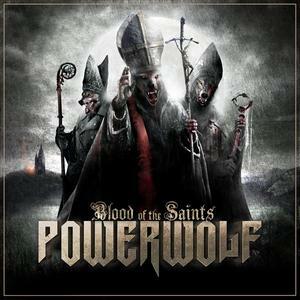 Blood of the Saints is their fourth and most consistent release. The track listing reads like a best of with classics “We Drink Your Blood,” “Sanctified With Dynamite” and album highlight “Murder At Midnight.” Powerwolf were a breath of fresh air for a genre that was becoming stagnant and similar. They bring a unique style and are one of the most identifiable bands on the scene. 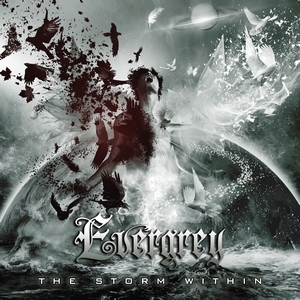 Evergrey add dark atmosphere and progressive elements to their style of power metal better than anyone. As their early material was more on the progressive side, they are one of the most consistent outfits the scene has seen. It is a tremendous accomplishment to release your strongest album twenty years into a band’s existence. Led by vocalist/guitarist Tom Englund, The Storm Within takes the listener on an emotional journey. No singer adds as much sentiment to his melodies as Englund does. The title track stands out as a tour de force that blends orchestration with a larger than life chorus. This is one of the best power metal releases of the modern era.